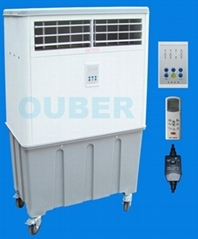 OUBER AIR COOLER & VENTILATION Co., Ltd. is invested by Ouber Electric Industry(Canada) Co., Ltd, it is located in Shunde of China. It is the suppliers of the United Nations (register No. 136600), which is a company intergrates the manufacturing of evaporative air cooler, evaporative air cooler accessories and exhaust fan, etc. The production capacity of Ouber in Shunde manufacuring base of China is around 200, 000 sets of evaporative air cooler whole units. 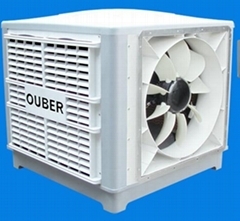 Ouber air cooler are not only sold in China, but also exported to some other countries and areas all of the world, like Asia, Africa, South America, Gulf countries, etc. We warmly welcome customers contact with us and discuss the business of air cooler cooperation. Were searching brand agent and dealers in some countries now. And OEM service is also welcome. We will supply high quality products along with competitive price for you, and hope we could establish a long term business cooperation and mutual benefits.